A romantic start of your life. 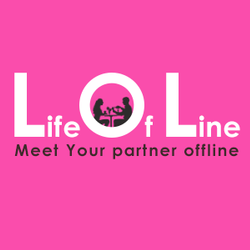 Complete your profile with LOL and wait till it gets activated. Once its activated, you are lined up for real dates every month for you. Don’t be stupid to expect stupidity, it’s real thing. Date beautiful and broadminded profiles. Meet 20 dates in 1 Year. A full day date and companionship program basis on mutual acceptance. Security and safety is LOL priority, so cooperation and patience is required. Date anywhere in India. LOL has operations in Mumbai, Bangalore, Hyderabad, Chennai, Kolkata, Pune, Delhi/NCR, Chandigarh, Indore and Goa. Once you are member to this club, you can travel and date anywhere in India. These dates are lunch/dinner dates on mutual acceptance basis. All profiles are verified and genuine to the level of age, employment and address proof. Dates are assured on one meal meet, further is all on mutual understanding and agreement. This is an executive level membership which completely subject to LOL Safety and Compliance team scrutiny and Requires higher level verification and validation.